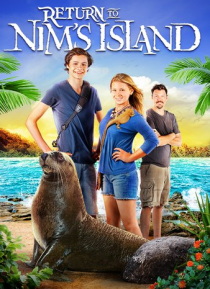 The writer and producer of the smash hit NIM'S ISLAND bring you the much anticipated sequel, RETURN TO NIM'S ISLAND! In RETURN TO NIM'S ISLAND, Nim is the precocious daughter of scientist father Jack. Nim, a bit older now, still has a gift to be "one with nature" and her amazing animal friends. But now that developers and poachers threaten her island, she and her dad must fight to preserve their p… ristine home and its abundant wildlife.